The jspatial package implements a set of spatial data structures. 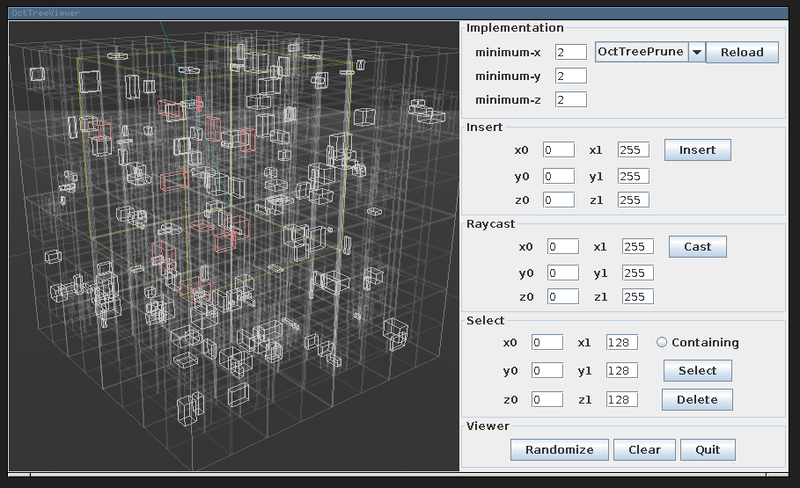 Quadtree implementations, including efficient area and raycast queries. Octtree implementations, including efficient volume and raycast queries. Numerous working examples, such as the octtree viewer pictured above. 97% automated unit test coverage. Platform independent: Written in pure Java 8. Rendering system independent (the example viewers use Swing and JOGL, but neither are required to use the library).